Arthur Ripstein is Professor of Law and Philosophy and University Professor. He was appointed to the Department of Philosophy in 1987, promoted to full professor in 1996, appointed to the Faculty of Law in 1999, and appointed to the rank of University Professor in 2016. He received a doctorate in philosophy from the University of Pittsburgh, a degree in law from Yale, and an undergraduate degree from the University of Manitoba. Professor Ripstein’s research and teaching interests include torts, legal theory, and political philosophy. In addition to numerous articles in legal theory and political philosophy, he is the author of Private Wrongs (Harvard 2016), Force and Freedom: Kant’s Legal and Political Philosophy (Harvard 2009) and Equality, Responsibility and the Law (Cambridge 1999). He is editor of Ronald Dworkin (Cambridge 2007) and co-editor of Law and Morality (Toronto 1996, second edition 2001, third edition 2007), and Practical Rationality and Preference (Cambridge 2001). He is currently writing a book on Immanuel Kant’s account of the law and morality of war, for which he was awarded a Killam Fellowship from the Canada Council. He is an Associate Editor of Philosophy and Public Affairs, a former Associate Editor of Ethics and the Canadian Journal of Philosophy, serves on the editorial board of Legal Theory, and is Advisory Editor of the Canadian Journal of Law and Jurisprudence. His popular work has appeared on Ideas on CBC Radio One. Audio: Society for Applied Philosophy Annual Lecture, King’s College London, “Reclaiming Proportionality.” An interview with Ripstein about the lecture. Private Wrongs (Harvard University Press, 2016) Read Scott Hershovitz’s review in the Harvard Law Review. Read Allen Wood’s Review in Notre Dame Philosophical Reviews. Equality, Responsibility and the Law (Cambridge University Press, 1998) Read Richard Arneson’s review in the Canadian Journal of Philosophy. See also Professor Ripstein’s SSRN page. Looking for a different Ripstein instead? Read about Mexican filmmaker Arturo Ripstein here. Read about Ripstein’s mother, Ellen, who was a spy and later Canada’s first woman stockbroker, here. Watch the other Ellen Ripstein, his cousin the crossword puzzle solver, win the world crossword championship here. 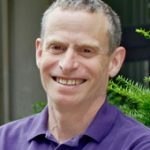 In addition to numerous articles in legal theory and political philosophy, Arthur Ripstein is the author of Force and Freedom: Kant’s Legal and Political Philosophy (Harvard 2009) and Equality, Responsibility and the Law (1999). He is editor of Ronald Dworkin (Cambridge 2007) and co-editor of Law and Morality (1996, second edition 2001, third edition 2007), and Practical Rationality and Preference (2001). He is currently writing a book on Kant’s legal and political Philosophy. He is an Associate Editor of Philosophy and Public Affairs, a former Editor of Ethics, serves on the editorial board of Legal Theory, and is Advisory Editor of the Canadian Journal of Law and Jurisprudence. His popular work has appeared on Ideas on CBC Radio. For for a list of Prof. Ripstein’s publications visit the Department of Law. Some of Prof. Ripstein’s publications are available on his SSRN page. Read Scott Hershovitz’s review of Prof. Ripstein’s Private Wrongs in the Harvard Law Review. Read Allen Wood’s Review of Prof. Ripstein’s Force and Freedom: Kant’s Legal and Political Philosophy in Notre Dame Philosophical Reviews. Read Richard Arneson’s review of Prof. Ripstein’s Equality, Responsibility and the Law in the Canadian Journal of Philosophy.